There's an unsolved fish mystery playing out right now along a rugged, 300-mile stretch of Southeast Alaska coastline: What's killing off the thousands of king salmon that, at an increasing rate, swim out to sea and don't return to spawn? 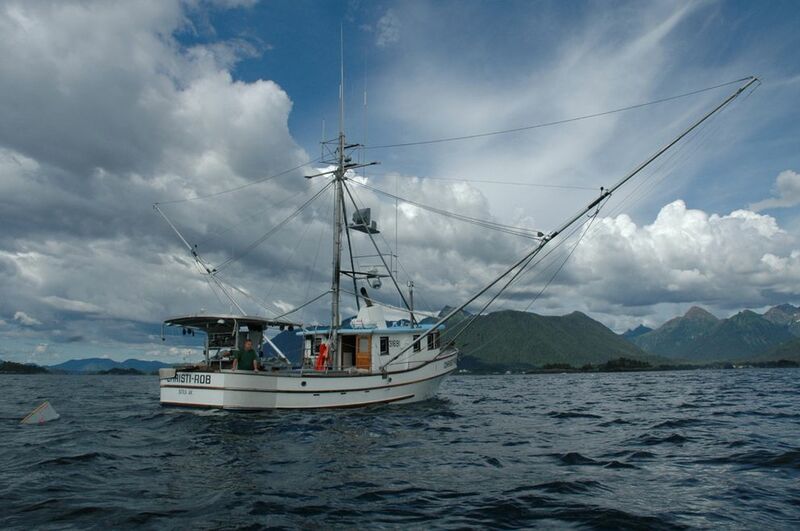 "There's a big ocean out there," said Tad Fujioka, a commercial fisherman in Sitka. "And it's kind of a black box." Alaska fishermen and scientists don't know what, exactly, is causing king salmon returns to plummet across Southeast. But they're trying to adapt to the consequences: closures for certain fisheries and new limits on catches, which hit the region's commercial fleet and the recreational anglers who target kings with rods and reels. 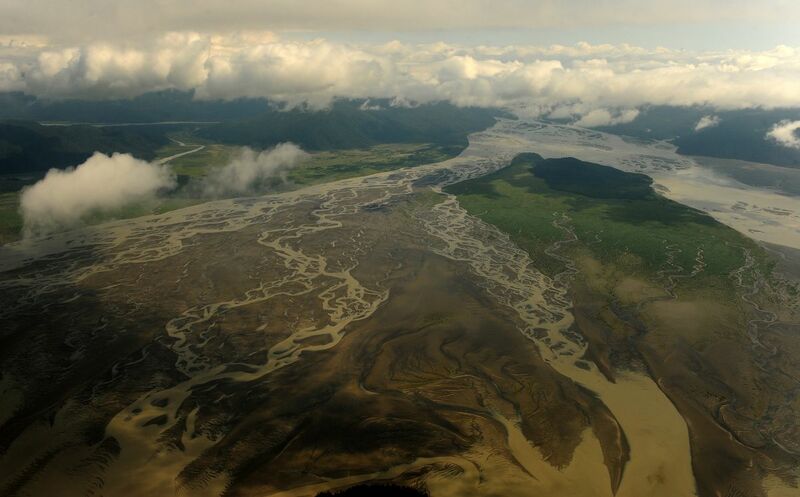 The Alaska Department of Fish and Game last week released a set of grim salmon forecasts for a half-dozen Southeast rivers, from the Stikine near Wrangell to the Chilkat near Haines. And fishermen are girding for next month's meeting of the state Board of Fisheries in Sitka, where members will review a menu of department recommendations aimed at stemming the declines. "I know there's going to be restrictions," said John Jensen, the Petersburg man who chairs the fish board. "How draconian we'll get, that remains to be seen." Kings make up a small but significant chunk — a little less than 10 percent — of the annual commercial salmon haul in Southeast, according to Fish and Game figures. Most of those kings come from trollers, who pull in the fish one at a time. And recreational fishermen — both tourists and residents — prize them for their size and taste. "There's no better eating in the world," said Larry Edfelt, a former fish board member from Juneau who works with a local recreational group, the Territorial Sportsmen. He prefers his king salmon filleted and fried in butter, he said. But this summer's king salmon returns were so low that fisheries managers made widespread closures. 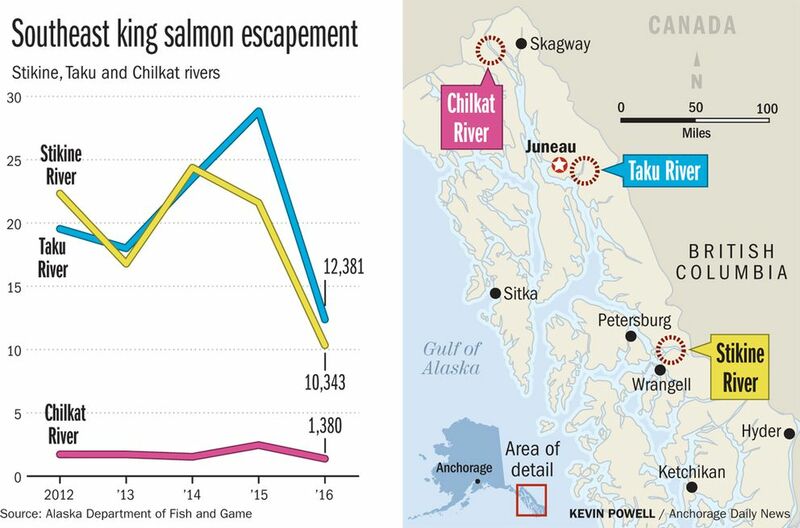 The five Southeast rivers with the largest king salmon runs — the Stikine, Taku, Unuk, Chilkat and Alsek — all fell far short of their "escapement goals." That's the number of fish that need to elude fishermen and make it to the river to spawn to maximize the size of the run. And fish and game department officials are now recommending that three Southeast rivers be designated "stocks of management concern," based on their chronic inability to meet escapement goals over the past six years. "We have these three stocks that are dire. But we have six others — maybe even seven or eight others — that are right on their heels," said Dan Gray, a state fisheries manager in Sitka. "We experienced the worst escapement levels we've ever seen in Southeast this year. And our forecasts are even worse." What's causing the declines? Scientists are fairly confident that something is happening to the fish when they're out in the ocean, but they don't know what, exactly, said Milo Adkison, who chairs the Department of Fisheries at the University of Alaska Fairbanks' College of Fisheries and Ocean Sciences. "You can't watch fish die," Adkison said. "It's just really hard to study them out there." One likely contributing factor, Adkison added, is "the blob" — the mass of warm water that spread over the North Pacific starting in late 2013, and which new research suggests is linked to human-driven climate change. But king salmon populations were declining for years before the blob's emergence, Adkison said. State fisheries managers know that they can't influence what happens in the ocean, said Gray. One Fish and Game official told KHNS, the Haines public radio station, he's worried that populations won't rebound even if fishing is shut off completely. But what managers can control, Gray said, is how much fishing takes place, and they can try to maximize the number of fish that spawn. In interviews, Southeast fishermen said they respect the need for limits on king salmon harvests. But the impacts are still rippling across Southeast Alaska. Southeast sportfishermen typically catch about 70,000 kings a year, according to Fish and Game department data. But in Juneau this year, the Central Council of Tlingit and Haida Tribes canceled its annual spring king salmon fishing derby. The Territorial Sportsmen barred king salmon from their derby and the winning fish — a silver salmon — was 19 pounds, down from the 27-pound king that won the previous year. Edfelt, the former fish board member from Juneau, said he'll fish for halibut and crab instead of king salmon. But he's also worried that king salmon stocks won't recover in his lifetime. "You have to settle for something else," he said. "I'm 75 now, and I don't know when this is going to end." 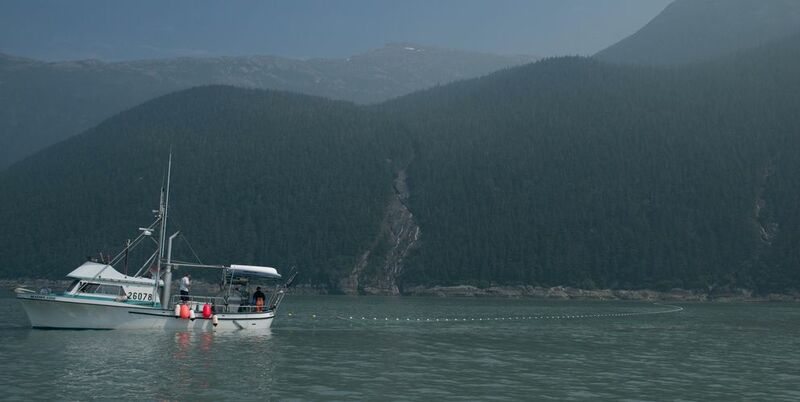 In Klukwan, the Alaska Native village near Haines, fishing closures to protect kings have made it more difficult for residents to catch the sockeye salmon they subsist on during the winter, said Kimberley Strong, the tribal president. Some people kept fishing during the closures, and wildlife troopers took their nets away, she added. "It is a hardship," she said. This year's fishing restrictions also hurt the region's commercial troll fishermen especially hard. The fleet, with some 1,000 active permits, is spread across Southeast Alaska. It's the fishing industry's equivalent to small-scale organic farming, with small boats dragging four lines at a time and hauling in kings that sell for $80 apiece. Fujioka, who trolls out of Sitka on his 28-foot boat, the Merlin, said this year's closures cost him three prime weeks of his two-month spring fishing season. And he said the most extreme options available to the fish board for next year, which include closing the entire spring troll season, "would basically decimate the local troll fleet." Sitka fishermen, Fujioka said, want the fish board to make any closures as narrow as possible. "Use a scalpel, not a sledgehammer," he said. Will the restrictions be enough to restore Southeast's king salmon populations? There's some sense that climate change could be causing a "regime shift" and a long-term change in ecosystems, said Peter Hagen, deputy director of a federal fisheries laboratory in Auke Bay, near Juneau. "There's a whole question: Is this a new normal? And I don't think we've determined that yet," Hagen said. But Hagen and Adkison, the fisheries professor, both pointed out that salmon have proven to be resilient. Fossil records show that big population changes are typical, Adkison said. "In the salmon business, we're used to these dramatic fluctuations in productivity," he said. "If I had to bet, I would favor the short-term fluctuation and I would expect them to eventually rebound. But the current numbers are really low."